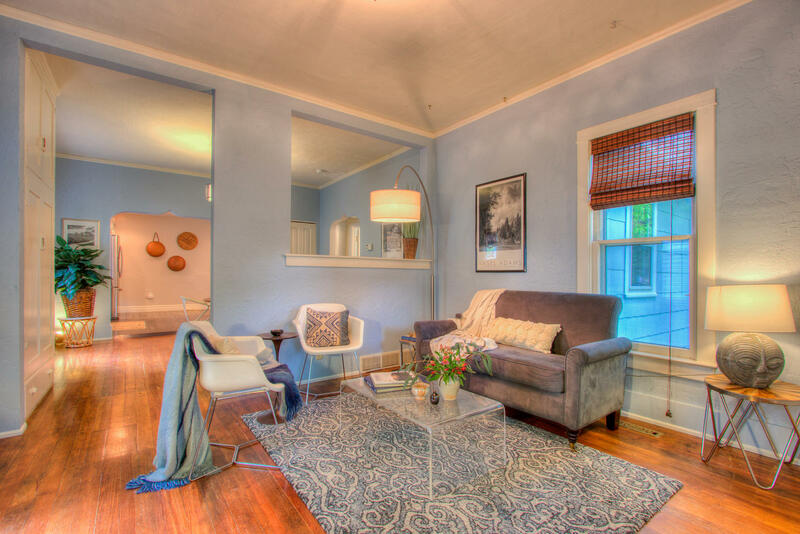 Idyllic Remodeled Old Town Bungalow! Beautiful wooded setting, 1,744 SF with 3 Bedrooms and 2 remodeled full baths! Living and Bedrooms oriented on the main floor & loft/study on the upper floor - ample storage under the eaves. 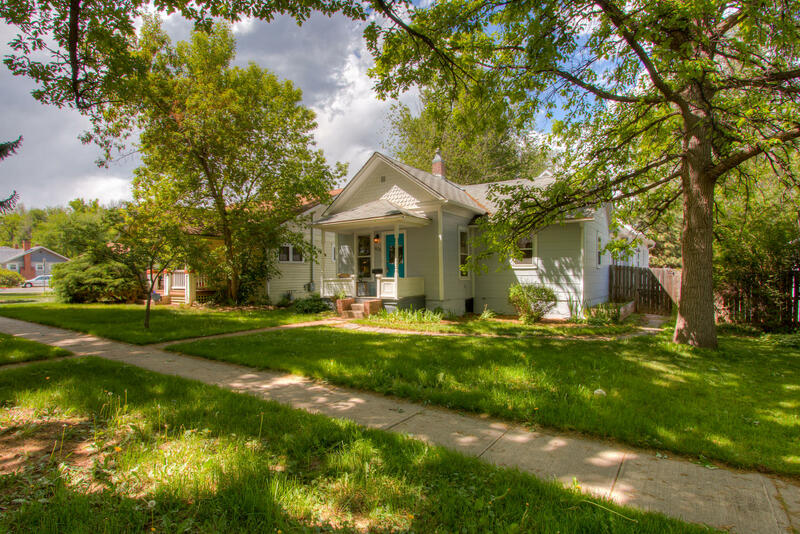 Convenient open floor plan filled with charm and character nestled in an ideal spot on Pitkin St, across from the Fort Collins Trial Gardens and University Center for the Arts. 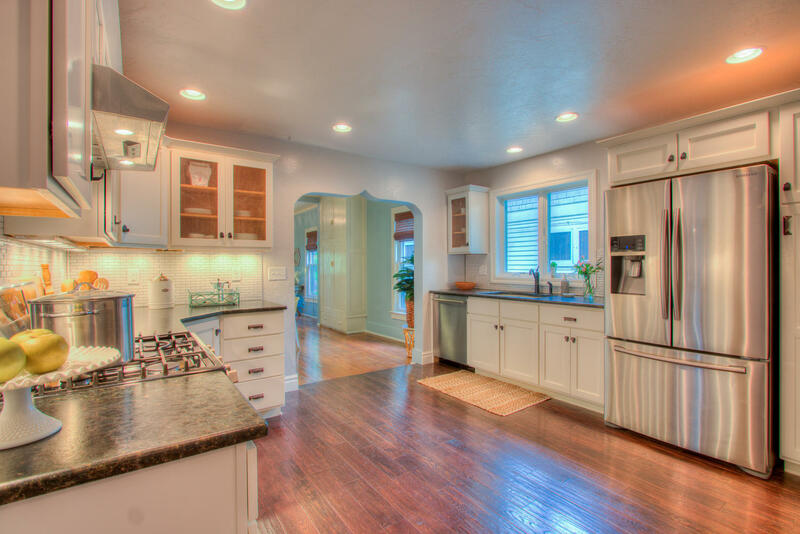 Stunning kitchen remodel featuring slab granite leathered finish kitchen countertops, 5 burner gas range, white shaker kitchen cabinetry, full tile splash, all stainless appliances and active radon mitigation. Dual Zones/2 furnaces, private and spacious Master Suite, convenient hardwood flooring spans the entire main floor! Adorable covered front patio and composite back deck! 2 car garage with service door and opener - Enjoy everything the Old Town lifestyle has to offer! On furnace zones - one controls the front of the home and one the back. Ideal gardening space in the backyard - fully fenced with pear tree, raspberries, loaded with perennials. Clawfoot tub in Master Bath Suite - both baths remodeled & all appliances included. Newer exterior & interior paint! Easy walk to Old Town Square, Library Park and any of your favorite summer festivals and restaurants! No HOA OLD TOWN FTC!